The new iCoo Acrobat travel system absolutely blew me away when I saw it at the ABC Kids Expo 2015. The combination of the glamorous copper frame with the real leather finishes create a unique trendy look. It impressed me with its modern design of the wheels and attention to details. 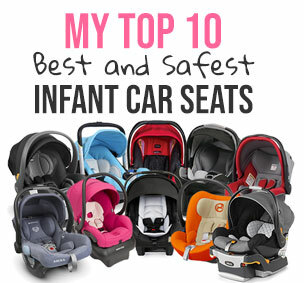 The travel system includes the iCoo Acrobat stroller and iCoo ProSafe 35 infant car seat. The iCoo Acrobat stroller is somewhere in between a full size and a lightweight models. It has a lot of features of a full size stroller while still being compact and light. The wheels are a little smaller than you will find on a full size model, but are larger than on umbrella model. The iCoo Acrobat stroller screams luxury with its copper frame and REAL leather on the bumper bar, handle and the seat liner. You can also see copper detailing on the wheels, canopy and seat liner. The shiny copper fabric inside of the canopy makes it really pop. This luxurious stroller is not only fashionable, but also very practical. You can easily fold it with just one hand. The larger front wheels make it much easier to tackle different terrain. There are plenty of storage room and because it’s front heavy, you can hang a lot of stuff off the handle bar without a risk of tipping it back. The fold is very compact and will fit in the smallest trunk. This model is only 20″ wide making it perfect for navigating narrow store ales and crowded city streets. The ‘follow-the-sun’ canopy will provide your child with plenty of sun protection. The adjustable handle bar can be adapted to parents’ height. The one-hand recline goes to almost a flat position suitable for a newborn. The stroller weighs only 20 lbs. You can easily convert it into a travel system with the iCoo ProSafe 35 infant car seat that firmly clicks into the frame. In addition it comes with a rain cover and a matching footmuff that also has copper detailing. This is me by myself chilling in the desert with a stroller without my daughter. And, I do have a very fast race car that I install the car seat in you just can’t see it on this photo. And, yes my car has also leather detailing to match the stroller. That’s how I roll! LOL. Anyways, I gave it 5 out of 5 stars because this is one of the best luxuries strollers I’ve seen. It is very easy to operate on the daily basis. It is very durable and made out of high quality materials and I like the included accessories. There was not a lot I would change. I would probably add a pop-out sunvisor to the canopy so it has a little more coverage. I would also extend a handle bar by 1 or 2 inches to accommodate much taller parents. This should be easy. I would include a cup holder because I like my coffee. I would also make the seat liner reversible just like the head rest with the fabric on the other side because it can get very hot or cold and the real leather doesn’t exactly help with the temperature regulation. Other than this is a fabulous stroller! Every time I go outside with it I get a lot of complements from parents and everybody want to know where I got it. Definitely a head turner. Now, since I’ve tested a lot of stroller and it doesn’t take me long to figure things out, my ultimate test is my mom. I send my daughter to visit grandma every Sunday and time to time include a new stroller with the package. Hehe. I do show her how to operate the new wonder, but usually get a call from the store or a playground asking me howdahack do I fold it or unfold it or remove the bumper bar or unlock buckle and etc. Well, I am glad to report that Acrobat successfully passed the test and I didn’t get any calls. Yay! Once she saw the shiny copper frame she didn’t even complain about having to use a new stroller so we bypassed the usual eye roll. When I was picking up my daughter, I asked her if she liked it and she said “Of course I liked it!” I am sure she was the most stylish grandma in the neighborhood. The iCoo Acrobat is officially grandma approved. Now for the price. It’s not cheap. The travel system retails for around $719 – $800 on Amazon depending on the color or if you just want to get a stroller it will be around $399. This is also me going on a date with my husband. I just take my stroller everywhere with me because it matches my dress and shows how rich I am. That little clutch is my fancy diaper bag. It has diapers, wipes, sippy cup, and much more. Where is my daughter? Oh, you noticed … I think this advertising is hilarious. The overview video at the bottom of the page is just as funny. -Great canopy. While the canopy doesn’t look very big, it has ‘follow-the-sun’ option where the canopy is not attached to the back of the seat and can be folded down in front of the child to follow the sun. There is also a large peekaboo window in the back made out of clear plastic. It has no cover. Overall this is a good canopy that will provide your child with sun protection, but I would love to see a cooper pop out sunvisor added. -Storage pocket. There is a large storage pocket in the back of the canopy where you can keep small essentials like wallet, keys, or cell phone. -Adjustable handle bar. The telescoping handlebar adjusts from 38” up to 40” from the ground. I wish it extended a little more like up to 42”. Getting inspiration from the racing wheel, designers decided to cover it with nice soft REAL leather (not faux like on most strollers). -Roomy seat. It is 14.5” wide with 17” seat back and a measurement of 23” from the back of the seat to the top of the canopy. Now, this is a short seat back comparing to most of the stroller that have it at around 19”-20”. The seat has an insert and a head rest made out of high quality REAL leather. It doesn’t get any more luxury than that! The leather is super soft and feels like the leather on my purse. Love it! It is also very easy to clean. The use of real leather is very rare in strollers. Most of the time companies use faux leather for the finishes. As much as I love real leather, it could also be a problem since the seat insert and the headrest can get hot in the summer and cold in the winter. To fix it, you can remove the insert and flip the headrest to the fabric side. -Deep recline. The deep recline is operated by a strap system. You will need only one hand to recline the seat and both hands to bring it back up. Like all strap reclines it is infinite meaning it stops when you stop. -Large opening. Once you fully recline the seat, you will see a large opening in the back that you can cover with an attached closure. This will provide a better air circulation on a hot summer day. The closure attaches to the back of the seat with Velcro. -Bumper bar. INCLUDED! The removable swing-away bumper bar is covered with nice soft leather. It’s very easy to clean and looks stylish. -5 point harness. It has an adjustable padded 5-point harness with a center release buckle that is very easy to unlock. I love the big ‘iCoo’ logo on the padding. -Adjustable foot rest. The adjustable foot rest has two positions: up and down. -Large basket. The basket is a good size and will fit your large diaper bag. It’s easy to access from the back or the sides. Because the basket is positioned a little farther from the rear wheels than usual, you will need to put more effort getting things in and out. I found it easier to hang my diaper bag off the handle bar and use the basket for smaller items like jacket or toys. Since this stroller if front heavy, you can hang a lot of stuff on the handle bar. -Parking brake. The here is one-step brake located in between the rear wheels. It’s not flip-flop-friendly. -Reflectors. The are two round reflectors located on the front wheels that make stroller visible in the dark keeping you safe. They also serve as a lock buttons for when you want to lock the front wheels straight. -Wheels. It rolls on four EVA wheels with larger wheels in the front which is a unique feature of Acrobat. The front wheels are 7.5” and the rear wheels are 6”. Because the front wheel are larger than the rear wheels it has better maneuverability and tackling ‘mummy’ terrain. -All-wheel suspension. Since the wheels are not very big, the suspension system helps a lot with absorbing bumps. -One-hand fold. The fold is very easy once you get the hang of it. It took me a few times, but now I am a pro. All you need to do is push the button on the handlebar, twist the middle section and push the handle bar down till the stroller folds and you hear the click of the automatic lock. Very easy and very compact. It also has a standing fold so you don’t really need to get down to the ground when folding it. The folded dimensions are 26 L x 19.6 W x 13.4 H.
-Travel system option. The iCoo Acrobat can be turned into a travel system with iCoo ProSafe 35 infant car seat. To do so, you will need to use included car seat adapters in the same slots that the bumper bar fits into. It was very easy to snap the car seat in and off the stroller. To remove the car seat all you need to do is sqeeze the lever in the back of the seat and lift it up. When installing it into the car, you can use it with the included base or a SEAT BELT. The iCoo ProSafe 35 can accommodate a child from birth and up to 28 lbs. It has side impact protection and comes with car seat insert and baby headrest. Since you install the infant car seat right on top of the main seat, you can use stroller canopy to provide your child with sun protection from all sides. -Footmuff. INCLUDED! It comes with a matching footmuff. -Short seat back. The seat back is only 17″ which is on a shorter side. Most of the strollers have it at 20″. -Front heavy. Because it has larger wheels in the front, it is a little front heavy which makes it harder to go over curbs. On the bright side, you can hang a lot of stuff off the handle bar without being afraid of tipping the stroller back. I personally ALWAYS hang my diaper bag and all of other fun purchases on the handle bar because I hate bending down to use the basket. Here is a short overview by iCoo. Have you noticed that none of these beautiful women had kids in the stroller? Hahaha! They don’t even look like they have kids. They just like walking around with a fancy strollers down the boardwalk. The iCoo has a 1-year warranty from the original date of purchase and you have to be the original owner. The iCoo Acrobat comes in six color combinations: copper black, copper blue, copper green, fishbone bordeaux, fishbone red, and fishbone blue. You can get it with a cooper or black frame. My favorite place to buy strollers and a lot of other baby items is Amazon. It usually has the lowest prices, free shipping, free returns and no sales tax. How great is that? You can get iCoo Acrobat travel system in one of the six beautiful color combinations for around $719 – $800 on Amazon. You can also get it as a stand-along stroller for only $399. It comes with a footmuff, removable bumper bar, and rain cover. Disclaimer: The iCoo sent me this travel system to review. As always all opinions are my own. No monetary compensation has been provided. What other car seats can I use with my icoo acrobat?